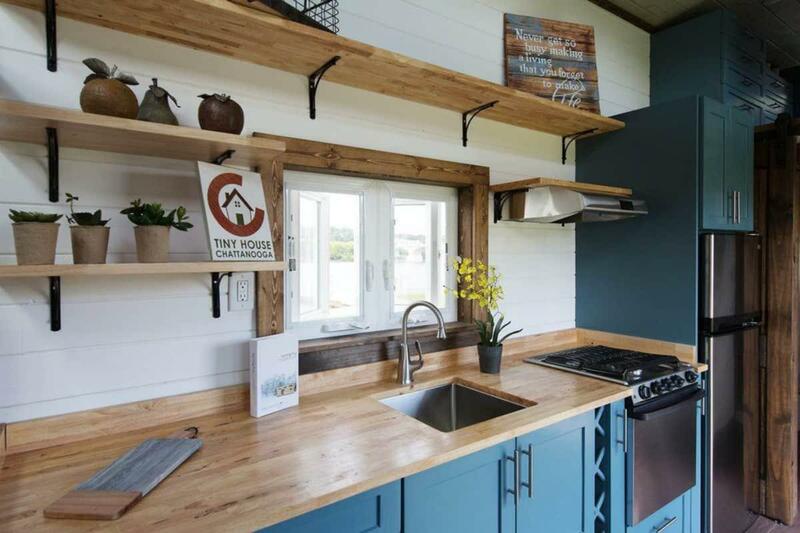 This 26’ tiny house was voted People’s Choice Best in Show at the Tiny House Jamboree 2016. 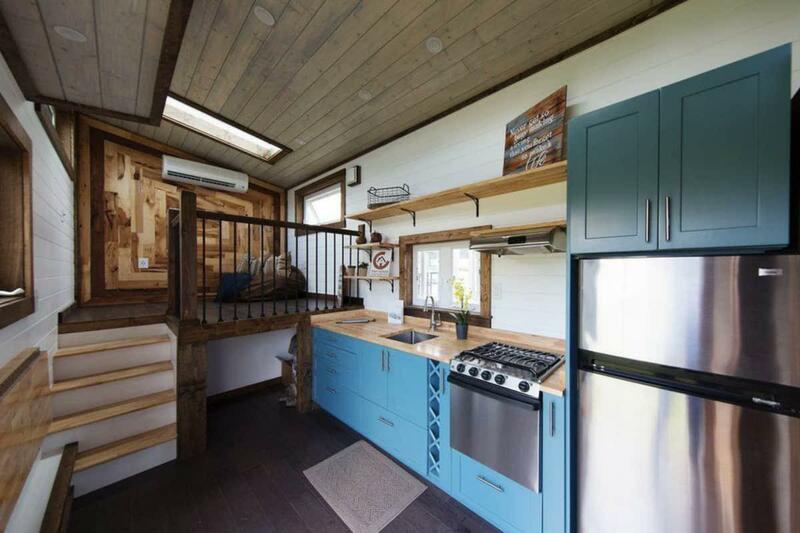 Spacious and with an open-plan feel, this 299 sq ft tiny is also accessible for homeowners who don’t want to climb into a loft. This space is easily accessible for those who don’t want to climb a ladder; a small set of stairs leads to a raised loft area. Cozy little loft that can be used as a living room or second sleeping space. The open-plan kitchen can fit large appliances and has gorgeous wooden counter tops. The blue cabinetry adds a nice pop of color against the darker wood of the floor. Loving the contrast of the light counter tops against the blue cabinets. The living room area is right next to the kitchen for easy access. 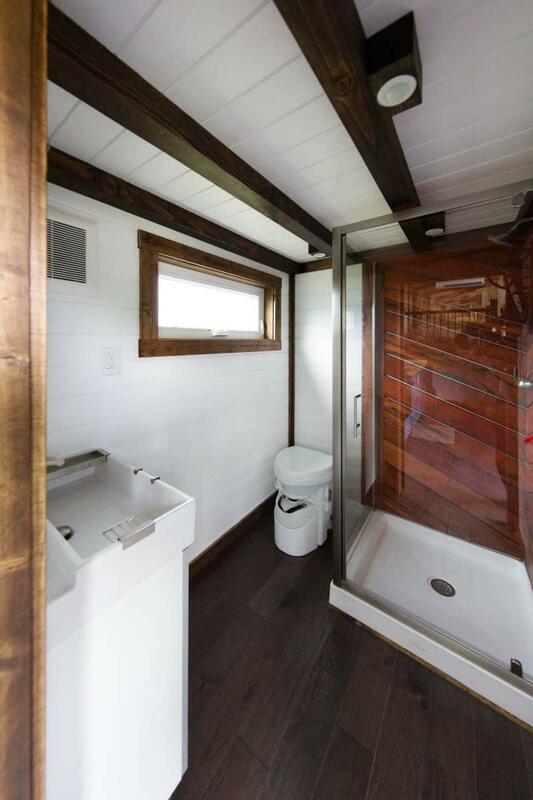 There is an eco-friendly sink, composting toilet, and large walk-in shower in this spacious tiny house bathroom. 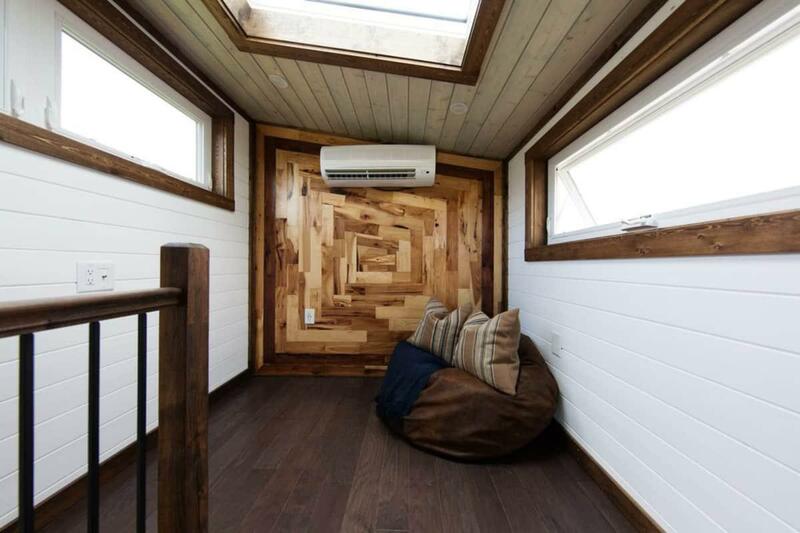 We love the eco-friendly features in this tiny house bathroom. 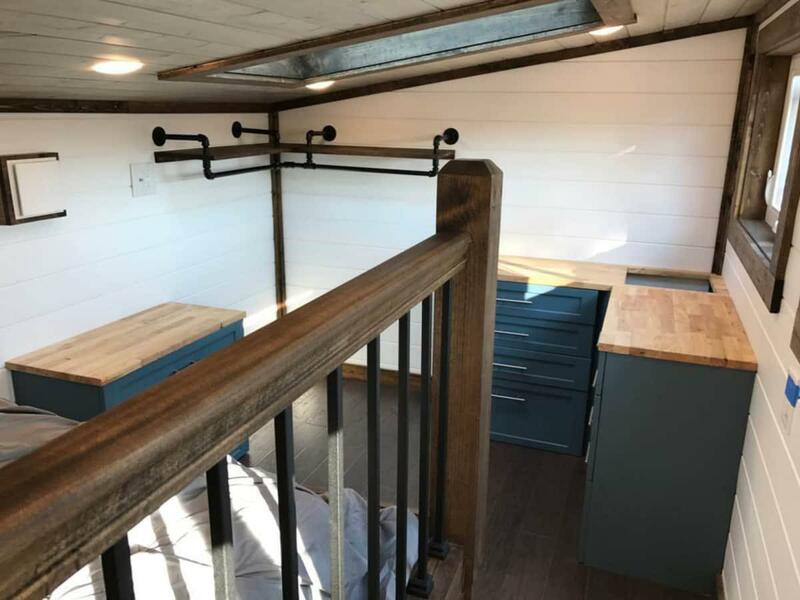 The platform bedroom accessible by only a few stairs, is the popular feature of this tiny house. The clothing racks and additional dressers make for the ideal master bedroom! 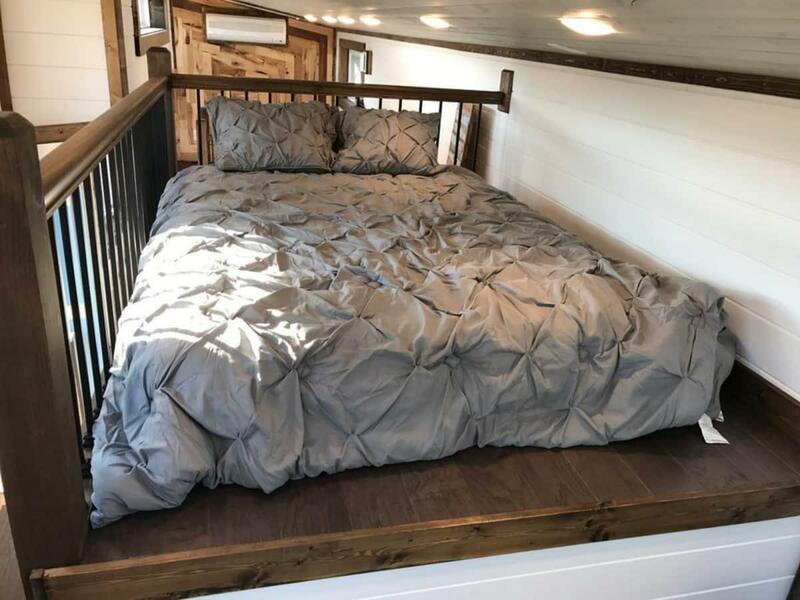 You’ll sleep like a baby in this enclosed bed. Plenty of places to hang or store clothes. 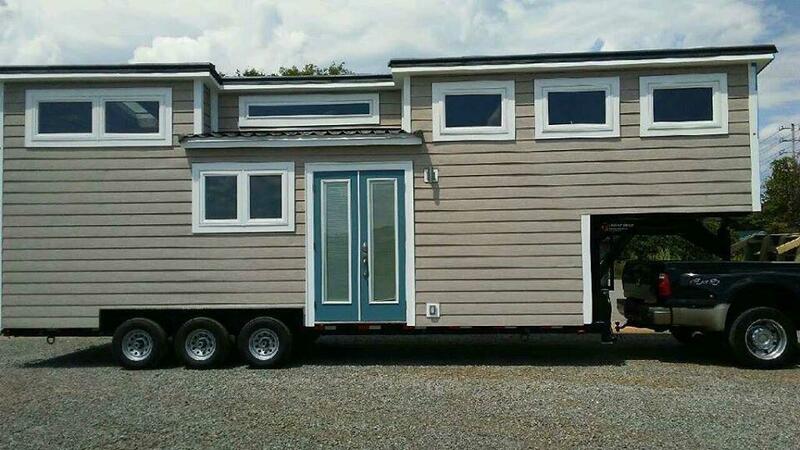 This tiny home comes in at $93000. Please note that prices may vary over time; you can contact the builder for the most up-to-date information here. 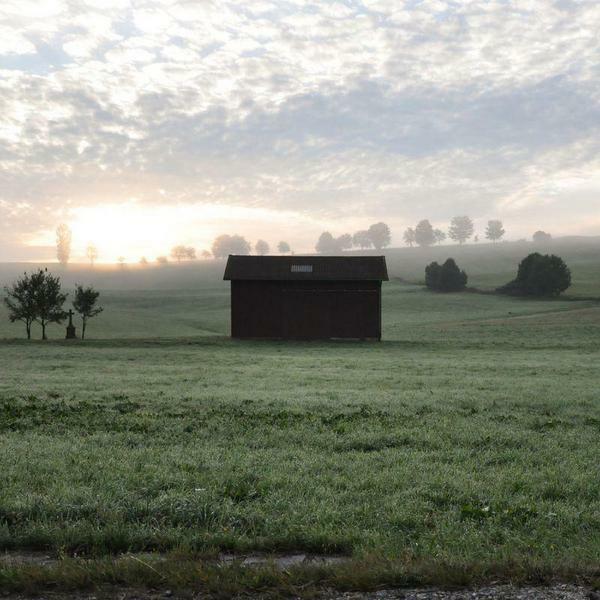 All images are from Tiny House Listings and Tiny House Chattanooga.